Room to roam and plenty of space for the toys! 2.05 acres with a over sized 4 car garage. Minutes from Old Town Cottonwood shopping, dining, brewery's, wineries and pubs. 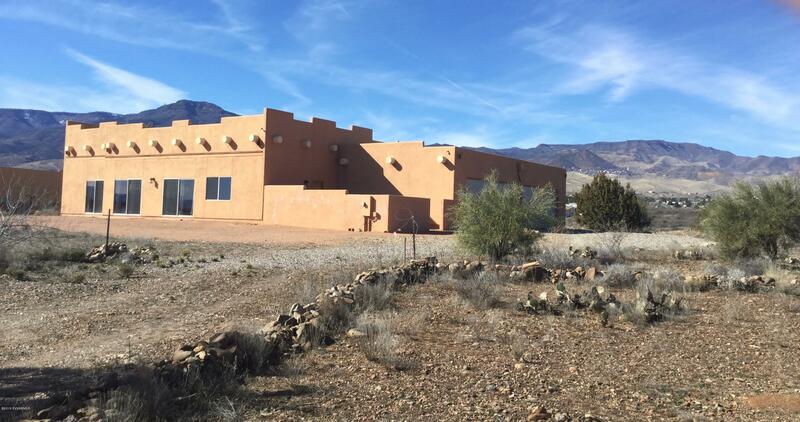 This tastefully southwestern home boasts gas kiva fireplace, enormous kitchen with 12 foot island breakfast bar, gas range, wall oven, copper vegetable sink, built-in buffet and the refrigerator stays. Amazing views of Jerome, Sedona Red Rocks and city lights. Zoned HVAC, recirculating hot water, water softener, whole house filter system, evap cooling, cat 5 cable,washer/dryer stay and there is a private well. Plenty of room to park the RV or the boat and yes a 35 ft. rv will go up the driveway. A lovely place to call home!